For Oboe, Clarinet, Violin, Viola and Double Bass. Composed by Sergei Prokofiev (1891-1953). 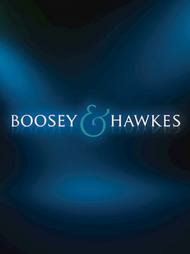 Boosey & Hawkes Scores/Books. Contemporary, Classical. 54 pages. Boosey & Hawkes #M060020995. Published by Boosey & Hawkes (HL.48009227).